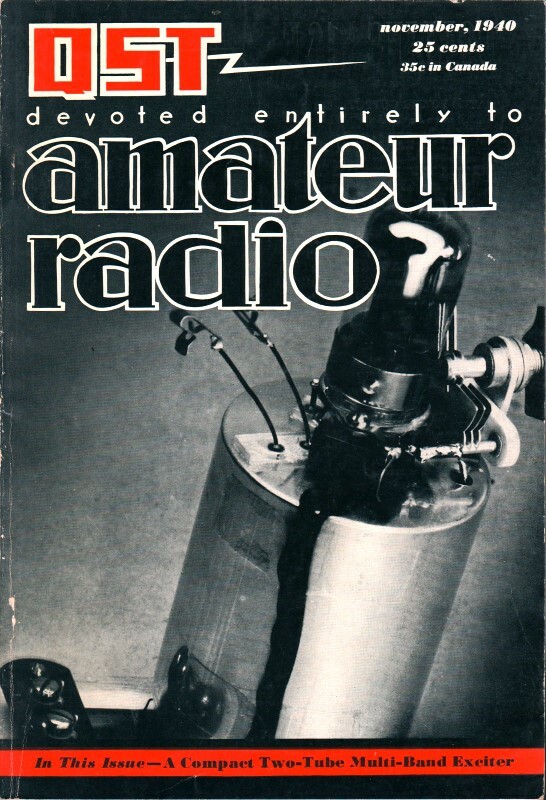 These articles are scanned and OCRed from old editions of the ARRL's QST magazine. Here is a list of the QST articles I have already posted. All copyrights are hereby acknowledged. The weekend is over and it's time to hunker down for five long days of grueling work. Most of the electronics-themed comics that appeared in QST magazine were associated directly with particular columns. For example, the cartoons featuring 'Jeeves,' the overtaxed manservant of a never-seen house master, was part of the "How's DX" feature. 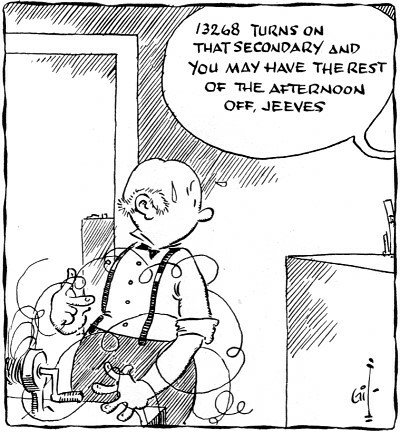 Drawn by artist Phil Glidersleeve (aka 'Gil'), W1CJD, poor Jeeves was often found doing his boss's will in the most precarious situation with intemperate weather making his assignments tough to complete. 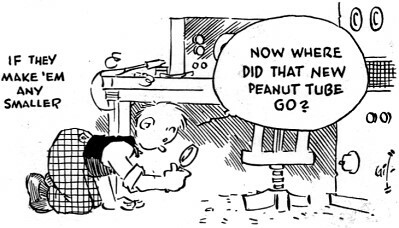 Situations involving Podunk Hollow Radio Club were frequent subjects of Gil's drawing pen as well. Enjoy. "Now where did that new peanut tube go?" 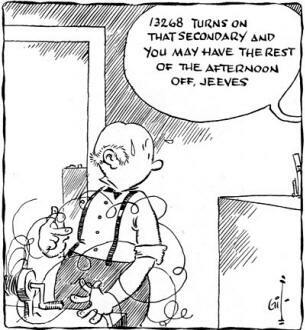 "13268 turns on that secondary and you may have the rest of the afternoon off, Jeeves"